Are hoverboards safe? When you first look at hoverboards, you think of it as this cool futuristic equipment that can take you places. Back in 2015, when they first entered the market, everyone wanted it. 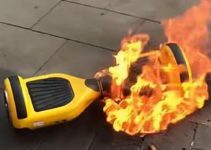 However, in December of the same month, there were a few accidents, which made people wonder if hoverboards are safe or not. In this article, we will cover everyone’s main concern — are hoverboards really safe along with the best models in the market. Is Using a Hoverboard Dangerous? UL or Underwriters Laboratories certification is the one you should be looking for when you purchase a hoverboard. These are safety precaution standards developed specifically for all types of self-balancing scooters. The two UL certifications you should look for include UL2271 and UL2272. Any hoverboard model should have at least one of these two certifications. A model with both certifications is the best quality you can purchase. It is called Standard for Batteries for Use In Light Electric Vehicle (LEV) Applications and talks about the safety standards that all hoverboard batteries have to meet or exceed. This certification is called Standard for Electrical Systems for Personal E-Mobility Devices and acknowledges that all electric parts of the devices meet safety standards. It isn’t just related to the battery but also the buttons and lights, if any. Apart from this, you should also look for performance and reliability standards of the hoverboard. If you ride the hoverboard at speeds higher than 10 mph, you pose a huge risk of falling off. Before you start riding, check for all specifications mentioned on the box and in the user manual. Always wear safety gear, especially you are learning. Back in December 2015, there were some hoverboard explosions but it won’t be happening again because they underwent strict rule changes. The models were upgraded, so the battery exploding is no more a factor. Hoverboards are safe, especially if you take all the precautions. However, you should always wear a helmet, knee pads, and elbow pads. It not only reduces the injuries but also lowers your chances of getting fractures and muscle sprains. If you are riding it with kids, make them wear a helmet as well. Every hoverboard model has a minimum weight requirement and a maximum weight limit. Usually, the minimum requirement is 45 lbs because it needs maintain pressure and not topple the person over. Never let a young child ride it alone as it is extremely unsafe. On the other than, the maximum limit is 300 lbs. Never ride the hoverboard on the road as they are slow and a truck can come from behind and hit you. Always ride it on the sidewalk and make sure you don’t hit any pedestrians. If you overcharge the hoverboard, you are putting yourself and your house at a risk of catching fire. As a precaution, you can purchase a hoverboard fitted with lithium ion battery, which automatically stops charging when it is full. Some batteries have a built-in stop switch, so the battery doesn’t overheat. Despite all these safety measures, make sure to disconnect the hoverboard once it is completely charged. Before the accidents in 2015, people bought cheap, unpopular brands. But after all those, people started getting more concerned about the brands. Before committing to a model, research the different brands and their models. Ask friends who have purchased one earlier for their experience and suggestions. Now, here are a few things you need to know about hoverboards. For one, you can go well over 10 miles on a single charge of the battery on many models, which is not at all bad unless you were planning to go on long trips. Hoverboards are just not built for that purpose, period. Also, if it’s a climb or an adventure out in the hills that is on your mind, you will need at least a 500 to 1000-watt rated output to be able to do it Some of them even have different modes for riding, according to your experience. If you are just starting out on the hoverboard go for the beginner mode, while more seasoned riders can use the normal mode to get riding. Hoverboard brands offer anywhere between one to five years of warranty. Longer the warranty, the more sustainable the product is. It also offers you a peace of mind as you know if anything happens to it, you can check it repaired at zero or low costs. Purchase hoverboards from Amazon because it has a strong return policy and warranty, so you are assured to get a good service. 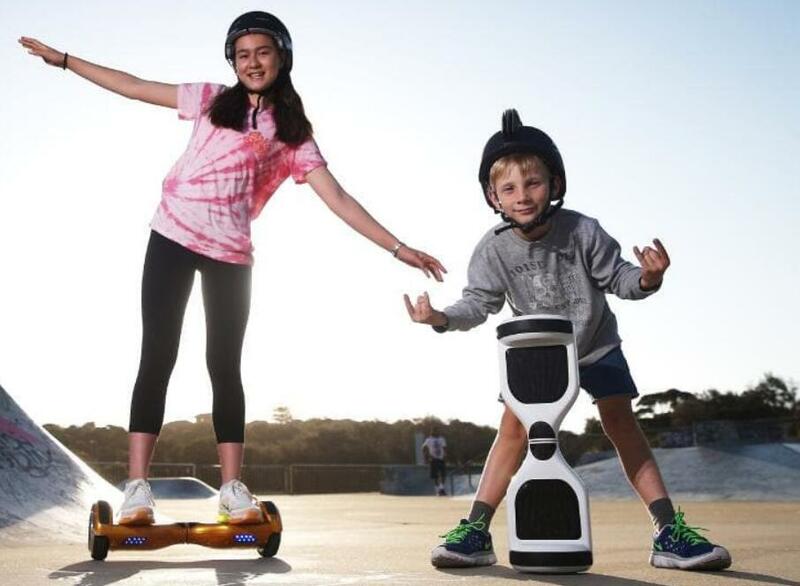 As we mentioned earlier, the hoverboard model should have both standard certifications including UL2271 and UL2272. It is a good way to ensure your family’s safety as both certifications ensure that all electrical components used in the hoverboard are safe and won’t burst or burn. You will always find true reviews on Amazon. They will be some positive and some negative reviews, so read as many as you can and take a decision. Don’t buy products that have fewer reviews because these are products that don’t get sold. Higher the number of reviews and more the positive reviews, the better the product will be. Most hoverboard models have an average wheel size of 6.5 to 7 inch, which is perfect for riding on pavements and sidewalks. If you want to ride it on grass or other uneven surfaces, look for hoverboards with larger wheels between 8.5 to 12 inch. Since these wheels are taller, they offer better clearance. They are a bit costlier but that’s the price you pay for better stability and control. You need a scooter that is relatively lightweight and weighs less than 28 pounds, which makes it the perfect companion to take on treks. You can always carry it if it runs out of power. The minimum weight requirement starts from 20 to 25 lbs to 300 lbs. The lower the maximum weight capacity, the smaller the model. 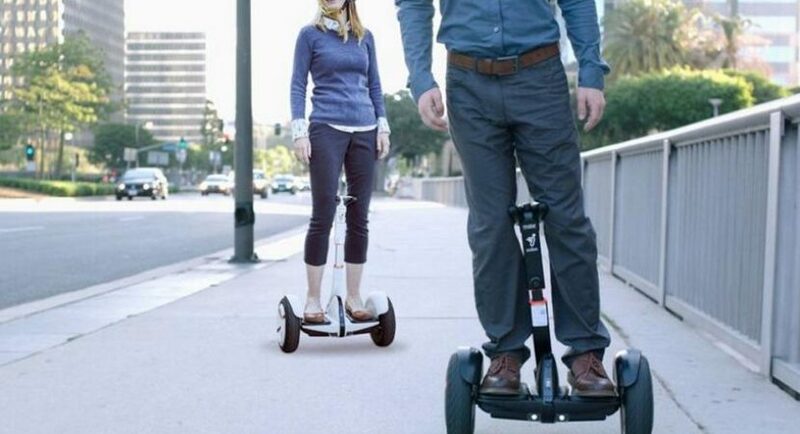 Hoverboards made for big people are heavier and have larger footpads, so it is easier to control. The weight range you select completely depends on your preferences. No hoverboard is complete without some super cool features to personalise it. Some other features you should look for include colors, finishes, higher top speeds, learning mode, LED headlights, Bluetooth speakers, water-resistant coating, and longer range models. The ultimate choice when it comes to durability and speed, SwagTron T1 has UL 2272 certification and a maximum weight capacity of 220lb. It is a budget-friendly model that works well with children as it doesn’t let them fall when they riding on a downward slope. 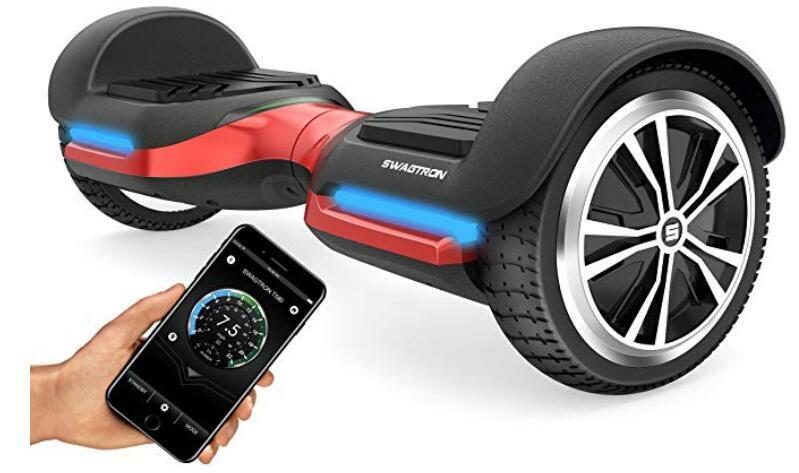 A great choice for beginners to fine-tune their skills, SwagTron T1 Hoverboard has a safety switch that controls movement and maintains stability. Latest models come with all-new cool features including LED lights, battery indicator, automatic power shut off. Fitted with advanced technology and high-end features, MegaWheels Hoverboard has high-density aluminum fender wings and 6.5 inch anti-skid wheels that work on all terrains. It has a maximum weight-bearing capacity of 264 lbs and is perfect adventure lovers as they can do different types of tricks with this beast. Along with the UL2272 certification, MegaWheels Hoverboard has a one-year warranty, which makes it one of the best models in the market in 2019. It has three modes including a training mode. The model has dual 250W motors. GoTrax Hoverfly ECO is one of those models that immediately catches your attention because of its trendy colors and futuristic looks. It is UL 2272 certified and can take you 12 miles in one single charge. The credit for its long battery life and durability goes to the two 250-watt motors installed inside the hoverboard. 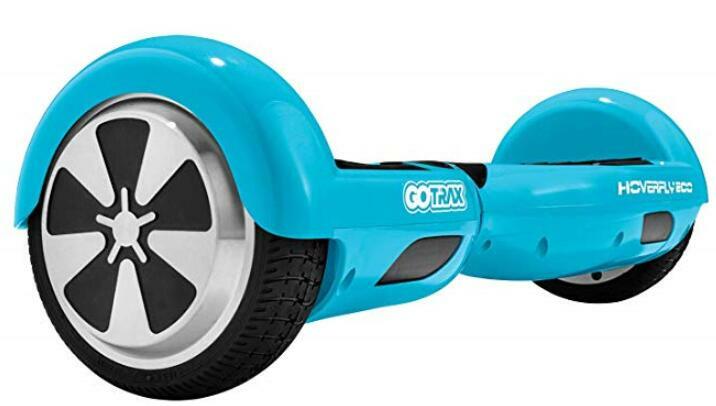 It is available in two colors including yellow and blue and has a self-balancing mode, so anyone can ride it. Other features include LED lights and Bluetooth speakers. Remember how back in the 90s all of us wanted the Razor scooter? The same brand recently launched its very own hoverboard called Razor Hovertrax Hoverboard. It is one of the smartest and most efficient models in the world. With UL 2272 certification and 220lbs weight bearing capacity, this model is easy to manoeuvre and ensures a smooth ride. You can purchase it in different colors including black, blue, camouflage, ocean blue, red, and white. Latest features added to the model include LED light bar display, LED battery power indicator, fender bumpers, and two riding modes. 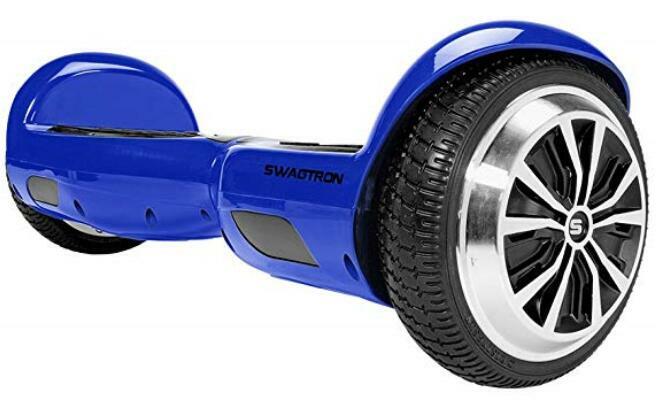 The ultimate choice for hoverboard lovers, SWAGTRON T580 is an eco-friendly that produces zero per cent carbon emission. This feature extends its battery life. The battery is fitted with Sentry Shield, which ensures that it is safe from fires and explosions. 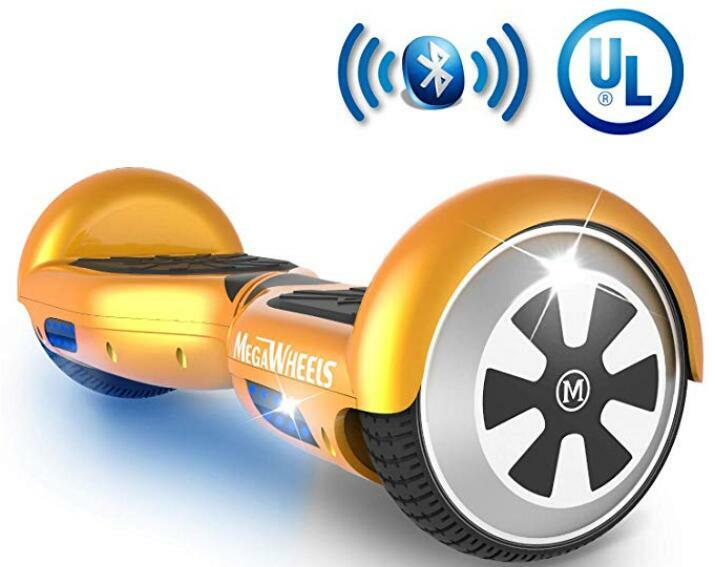 Connect your phone to the Bluetooth speakers to play your favorite tunes while riding the hoverboard. It comes with IPX4 water protection, which is a certification for dust and water resistance. You can choose from three colors including blue, black, and red. It is an amazing self-balancing scooter with barely any disadvantages and its durable materials and battery will make the hoverboard last for a long time. We tried all these hoverboards and found each one with unique features. 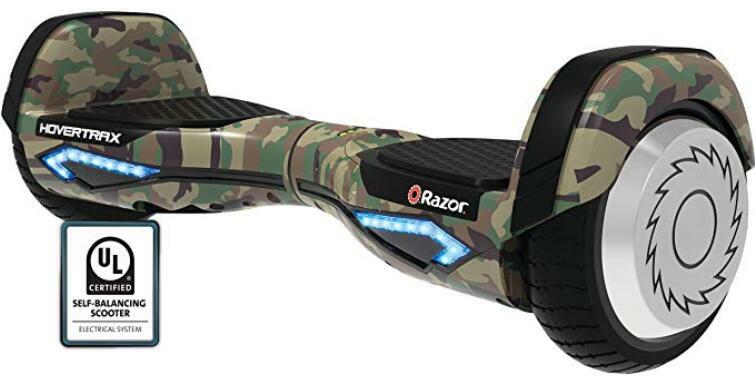 However, we have to pick a winner and it is the Razor Hovertrax Hoverboard. It runs at a maximum speed of 8.5mph, which is the fastest among the five models. Its battery is protected from fires and explosions and hoverboard is completely charged in only an hour. So, when are you buying one for yourself?